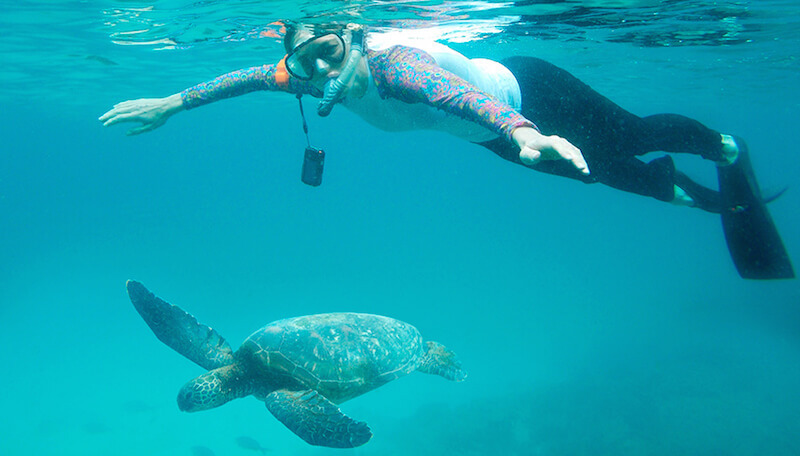 Certified Guides introduce you to the most breathtaking Galapagos sites. The personalized on-board service and well-designed social spaces create a perfect, relaxing atmosphere in which to maximise your enjoyment on the enchanting waters of the Galapagos archipelago. This 16-passenger, luxury-class catamaran offers a wide range of itineraries. Eight, Five and Four day cruises that sail through the archipelago's most beautiful islands. The itineraries include snorkeling, kayaking and hiking. After the day’s excursions, relax in the library viewing a movie from the DVD collection, or on the sundeck while enjoying a drink from one of the catamaran’s two bars. You’ll rest well in one of the nine pleasant cabins, eight of which have private balconies. All are equipped with private bathrooms, cold/hot water, air conditioning, safe box and other amenities. Throughout, the Alya is elegantly and tastefully decorated. With so many Galapagos Islands in the archipelago to choose from and many cruise and tour options, travelers often don't know where to begin when planning a trip to the Galapagos. Our Galapagos Travel Guides are a free resource designed to help familiarize travelers with important destination information before embarking on the big adventure.